I always like to play around with new toys, and so as soon as the Google Currents production system was released to the public, I set about making an edition for myself. I found the tool delightfully easy to use, but also that the product is very much set up for publishers rather than journalists. To add the main contents of this blog I simply defined one section as “currybetdotnet” and pointed it at the RSS feed for this website. I then added an @currybet social media stream of my tweets. 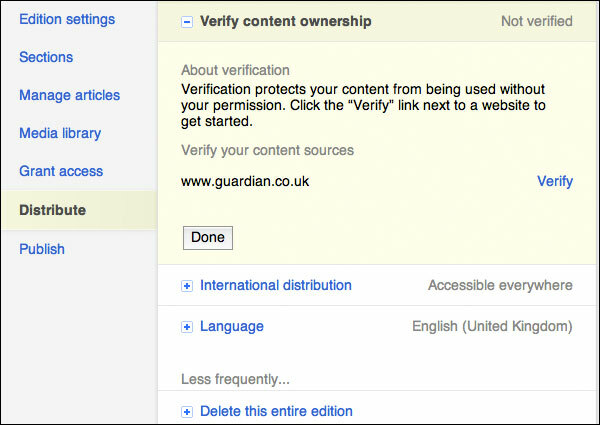 What I wanted to then do was to add in the content that I write for the Guardian. 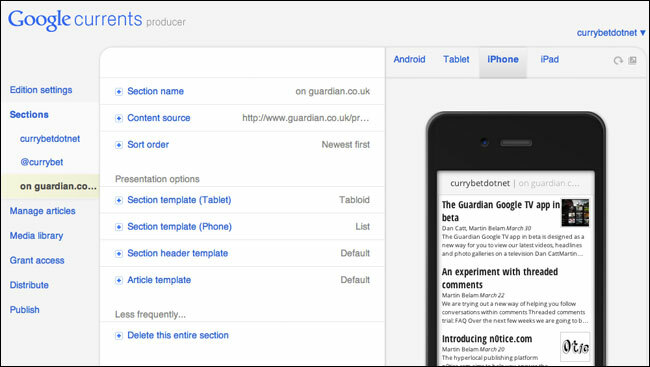 In theory it should be easy - set up a section in my Google Currents edition called “on guardian.co.uk”, and point Google’s service at the RSS feed of my contributor page. 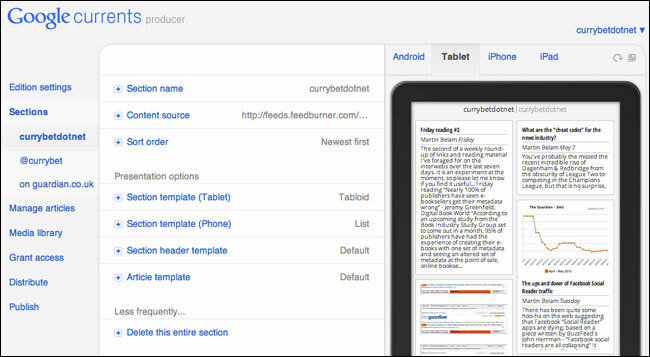 However, I can’t verify that feed in Google Currents, so the content languishes in the CMS as “pending”, and doesn’t form part of the published edition. I can’t prove to Google’s machines that I wrote the content, and so it belongs in an aggregation I’ve put together, because I can’t prove my association with the domain name the content was published under. I can see why this is there - obviously as a publisher you’d probably prefer that people weren’t making custom mix’n’match Google Current editions featuring your content. But it is a system that favours the traditional gatekeeper model of publishing, rather than recognises that individuals can publish in various titles, and that an aggregated edition of their writing might be desirable for the consumer. In effect, Google is acting as the gatekeeper for the gatekeepers. 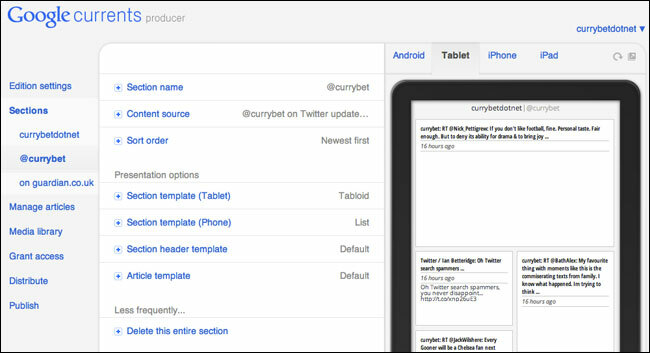 As for the Google Currents product itself, like similar apps, I think it does a good job of presenting content in a design that is suited to the form. When I look at apps like Zite, Pocket and Flipboard, I increasingly wonder whether, in time, having clean easily-parsed code on your web pages is going to become just as important as the front end design that human’s perceive. 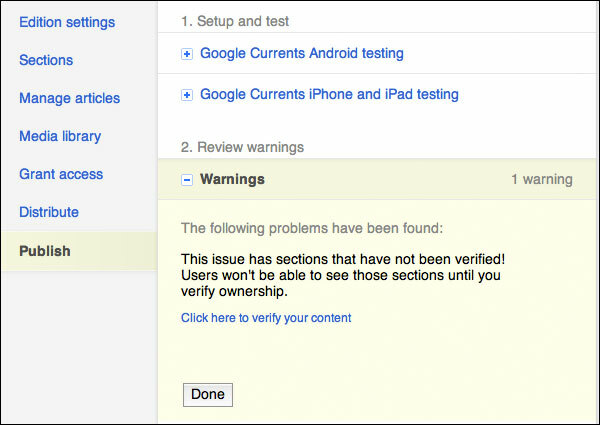 Content discovery isn’t yet great in Google Currents unless you are an established media provider. The classification scheme is rigid - I had to choose whether my edition fitted in the “design” category or the “Science & tech” category. The fact that it is mostly about the design of tech doesn’t compute. You don’t get listed in search results in Google Currents until you’ve got over 200 subscribers. Again, I can see why Google have opted for that model to stop spam clogging up their walled content garden, but it does mean that if you search for my name you get a long listing of random URLs, and Currents doesn’t actually say that I’ve made a definitive edition. 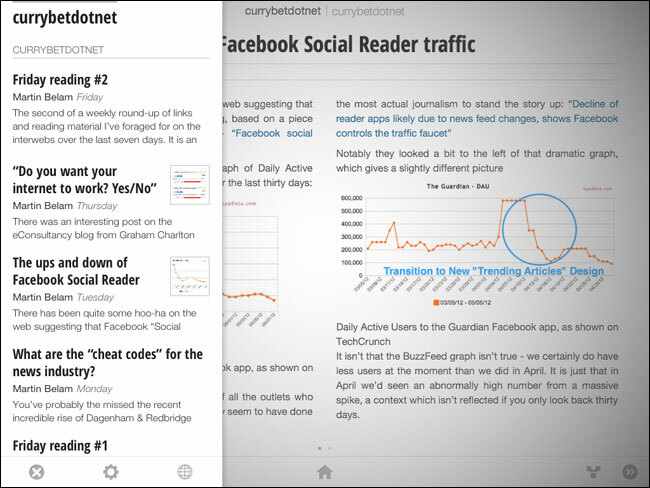 If you want to try the Google Currents edition of this blog, you can add it from here: Google Currents: currybetdotnet. There are other ways to subscribe too: Good old fashioned email and RSS, on your Kindle, or by “Like”ing my Facebook page. By Martin Belam on 15 May 2012.